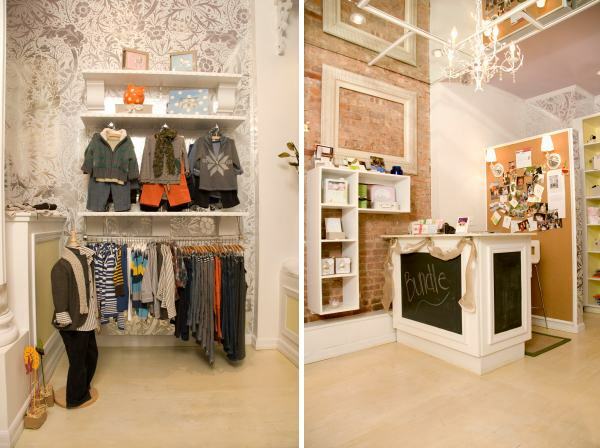 This is one sweet boutique I wish I had known about when I travelled to New York in September. As I write during a day of blindingly oppressive summer heat, Bundle beckons me with its soft, cool hues and inspiring garments for the rug-up season. Just as I did a few months ago (see my New York shopping post), I’d be having a delicious hot chocolate at a hip, cosy SoHo cafe before entering this compact world of baby goodness. I had a little time this week to speak with the very lovely Allison MacCullough, founder of Bundle. Her vision is delighting locals, visitors and celebrities alike, who are all cottoning-on that this is an inspired place to shop. How did you get started with Bundle? I grew up in Philadelphia and went to college in Boston, where I studied business. I always wanted to have my own business but I wasn’t ready to start something on my own right out of college. I studied finance and had great jobs… but finance was not my passion and I became more focused on starting something of my own with each passing year. Simultaneously, close friends of mine started having children and I found a new passion in shopping for them! Given that most of the friends that were starting families did not live in New York, I always wanted to give them something unique – that could only be found in my amazing city – when a new baby was born. This task was much harder than it should have been. If you didn’t want to shop Baby Gap or Bloomie’s, you were left with VERY expensive boutiques. There wasn’t anything that was both really interesting and reasonably priced – the wheels in my head starting spinning and so I started writing a business plan. The more research I did, the more committed I became to the idea of opening a children’s boutique. It took about nine months from that first business plan until I opened the doors of Bundle. We just celebrated Bundles one year anniversary. This last year has been the most challenging, most deeply rewarding year of my life. I love the store and love, love, love the amazing feedback I have received from my clients. Describe the neighbourhood your store is in. Bundle is located in Soho, which is New York City’s main downtown shopping area. There is a ton of history in Soho and, while you might not think so at first glance, there are many young families that live there. It is really charming – cobblestone streets, sidewalk cafes and beautiful people (of all ages, races, shapes and sizes) define the neighborhood. I really wanted Bundle to be in Soho from the beginning given it appeals to both locals and tourists – both are essential to my business. What products do your clientele like the most and what are celebs buying right now? Sets by Splendid Littles and Little Ella are favorites of both my celebrity clients and my local clients. Both brands make the most unbelievably soft clothing, so kids adore them and want to wear them. Each season they come out with new prints and colors and they just keep getting cuter and cuter. They both make a lot of sets that customers love because their children can wear them for so long. When someone buys a little dress and legging set, the child can wear it and as she grows taller it becomes a tunic and cropped legging set and it still works, it still looks adorable. What are your core brands, and which are your personal favourites? 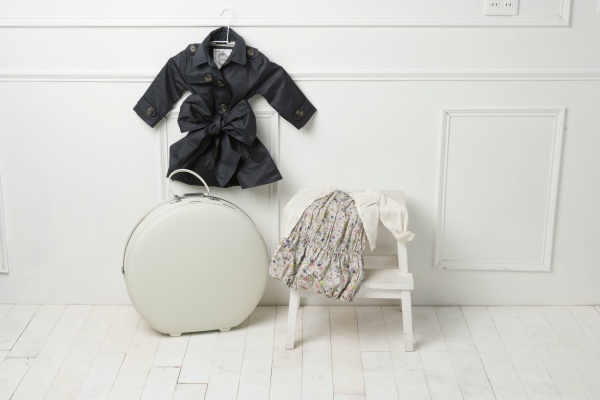 Our core brands are Splendid Littles and Little Ella, Tea Collection, Angel Dear, Velvet & Tweed and Acoustic. At this point, I couldn’t live without any of them! My favorites are Velvet & Tweed and Acoustic. Velvet & Tweed is special occasion wear – like party dresses and pants with suspenders – that is totally unique and not available anywhere else in Manhattan. Acoustic is a more casual line and all their designs are vintage inspired. The two lines are very different but they both sell very well at Bundle. What’s coming up for Bundle? We are debuting two new lines at Bundle this spring and I am SO excited. We are literally going to be the first store in the world to pick up a line called Nelly Stella and it is incredible. The second line is called Opus and it is so edgy and yet so sweet, it is going to fly out the store. Opus is for both boys and girls, but just the very little ones. Scarlett, the creator, has designed a series of onesies with matching bloomers that are totally fashion forward. I am honoured and excited to be among the first stores picking up Opus! I will make sure to drop by Bundle to pay Allison a visit next time I’m in New York! If you are going, make sure to check it out and tell us all about it.